So you're up for a little XC racing but you don’t have a mountain bike - or maybe not a mountain bike that you fancy thrashing ‘up’ as well as down the British Countryside with a number stuck on front. Well, as part of my little mission to finally start racing some Cross-Country, UKXCNews have asked me to take look at a few budget(ish) options that could well see you on to the path for XC glory. Now, for the purpose of this brief look in to what sort of bikes you could go for, we decided to base the choices on the £1000 limit you get with most cycle to work schemes. The reasoning behind this is that when it comes to combining training, day jobs and family commitments the commute can be an invaluable window of opportunity in which to squeeze in a few pre or post work efforts, and the numerous cycleschemes on offer give you the exciting prospect of combining both the XC racing rig and life enhancing commuter in one tax-free swoop! So what are your options? Well, here are 6 Cross Country hardtails that are built for speed and will have you eagerly chomping at the XC racing scene! First up is an aluminium hardtail with racing winning in its DNA! The 2017 Scott Scale 960, or 760 if 27.5 (650b) is more your thing, is as close to the race winning rig of Nino Schurter or Jenny Rissveds (although they seem to be on the full suspension Scott Spark these days) you’ll find for under a grand. Built around the same race proven geometry as the high-end Carbon Scale models, the 960 Scale features a 6061 aluminium frame team with a set of Rockshox 30 Silver TK forks - Rockshox's ‘premium budget’ (you get what I mean) range that offers a drop in weight from the Rockshox XC series found on less expensive models, and should help give a more composed feel to the front end as you aim to push your skills as well as fitness. A 10 speed Shimano Deore and XT drivetrain is renowned for its workhorse like performance, and it couldn’t be easier to maintain; a massive plus when the budget is tight. The Shimano brakes are also more then up to the job, with great feel, plenty of power and like the drivetrain are super easy maintain. Next up is the Orbea Alma H30 which comes in at £999.00. Like the Scott Scale, and all the other bikes on this list, the Orbea Alma H30 is built around an Aluminium frame and has a geometry that is definitely on the racier side of things; with a 70.5 degree head angle the Orbea is built from XC speed. The Alma H30 also boasts a Rockshox Recon Silver RL fork, which is a nice little upgrade in comparison to the Scales 30 Silver TK fork. 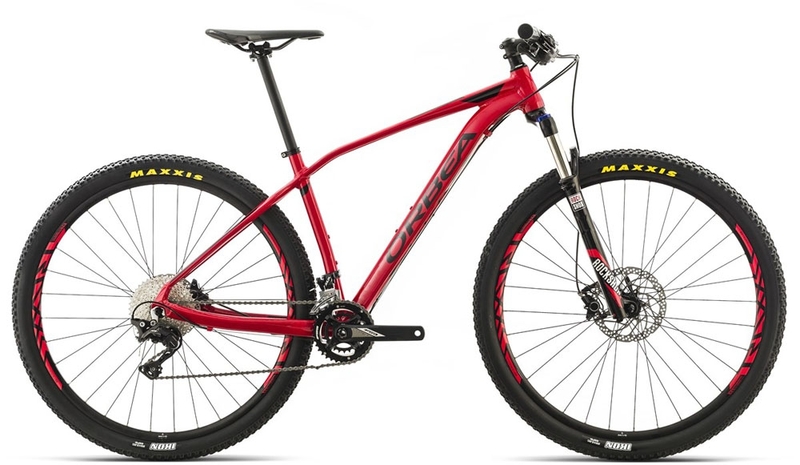 Orbea have spec’d the Alma H30 with an 11 speed rear Shimano XT mech with a huge 40-11 Sunrace cassette, giving you a nice range to play with when things turn skyward or the diesels running a little low. Throw in the Shimano SLX shifters and tubeless ready rims and the Orbea Alma H30 looks like a cracking bit of kit for the money! Moving swiftly on, we get to the Trek Superfly 5. At the top of the £1000 cyclescheme budget, this is a XC specific machine and certainly fits within the ‘race ready’ category! The geometry on the Superfly 5 is toward the modern end of XC Hardtails with its 69.8° head angle and, like the Orbea Alma, it features a Rockshox Recon Silver RL fork, making the Superfly 5 a great base from which to start your racing journey. A 2X Race Face chainset with 10 speed XT shadow rear mech, alongside the Shimano M425 stoppers mean that you have a reliable and capable box fresh rig to get you onto the that Cross Country start line. Tubeless ready rims and tyres add yet another tick to the Superfly 5’s substantial pro’s column. Up next… The 2017 Cube Ltd Pro 29! I’ve a soft spot for Cube’s. 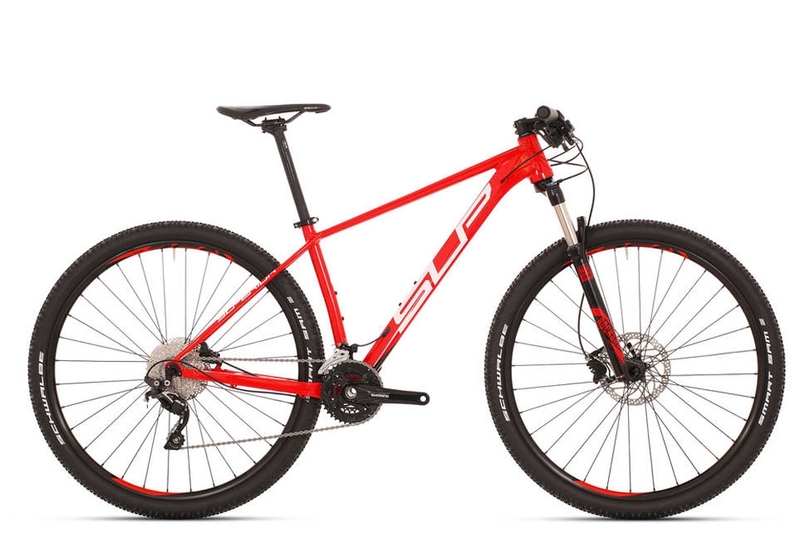 My first ‘real’ MTB was a Cube, and it was the bike that really got me hooked on the Cross Country side of riding, but this Cube Ltd Pro 29’r looks a very different beast. Coming in at £999, the Cube Ltd Pro’s Aluminium frame looks neat, tidy and racey and comes with the Rockshox Recon Silver TK, which is a slight step down from the Recon Silver RL found on the Orbea and Trek. Again, it’s spec’d with set of the effective and trusted Shimano stoppers but the Cube takes it up a notch and matches these with the very nice Shimano XT 2×11 drive train and a massive 11-42 Shimano SLX cassette, giving plenty of knee friendly options and definitely a big tick in the future proof and versatility box. One that may not be immediately on your radar is the black and orange rig of Austrian brand KTM. If you follow the UK Cross Country scene then you’ll no doubt have spotted these Austrian machines steadily making their mark the length and breadth of this Fair Isle. 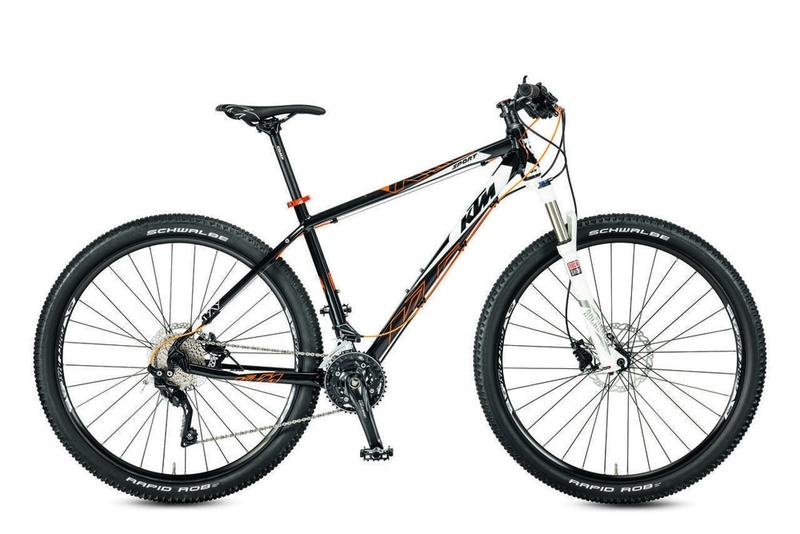 The KTM Ultra Sport 29 may not have the sleek internal cable routed looks of the Cube, but it does come in £100 cheaper at £899, which means you’ll have a little change from your £1000 to nab a few bits of extra kit… always a bonus! 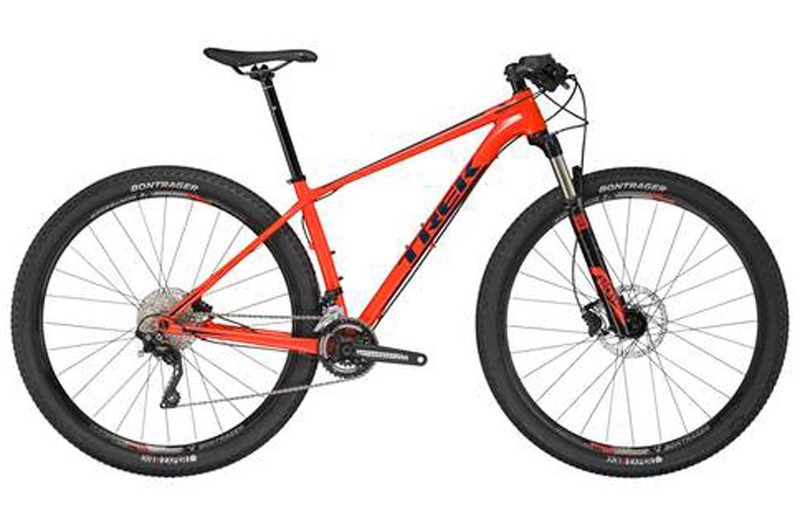 Build wise, it’s on a par with the others on the list with a RockShox Recon fork, Shimano brakes and a Deore/XT chainset making it well worth the challenge of hunting down this black, white and orange beast. Last, but by no means least is another brand that may have crept under your radar but has been piloted to great success by National Champs and Elite World Cup XCO racers over the last few years. 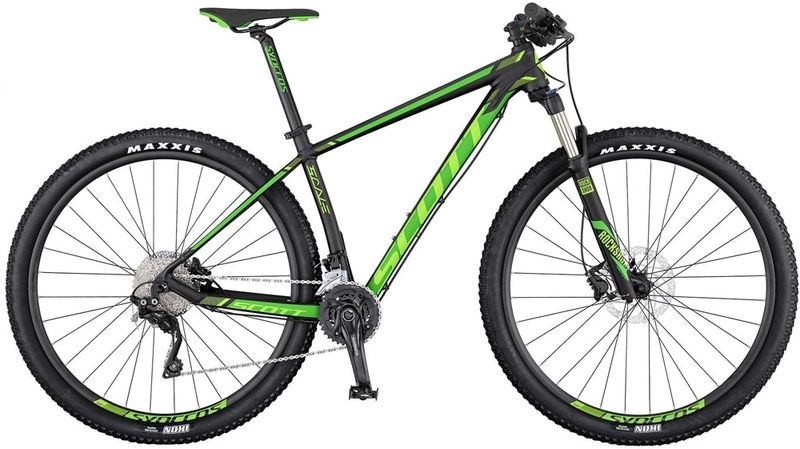 The stunning Superior XP 909 comes in at £999, and for that you get an uber racey aluminium frame with steep angles in all the right places along with some nice internal cable routing to keep things sleek and smooth. Superior make no secret of the fact that the XP range is designed for racers by racers - fits the bill nicely then! Like the Scott Scale, the Superior comes with the Rockshox 30 Silver TK fork and full Shimano drivetrain. The Superior XP 909 leaves the KMC X10 chain in the capable hands of Shimano’s SLX rear derailleur, which should make light work of the 11-36 10 speed Shimano cassette. Superior’s in house ‘One Race’ finishing kit mean this thing should be ready to go straight from the box. Point and go! So there you have it. 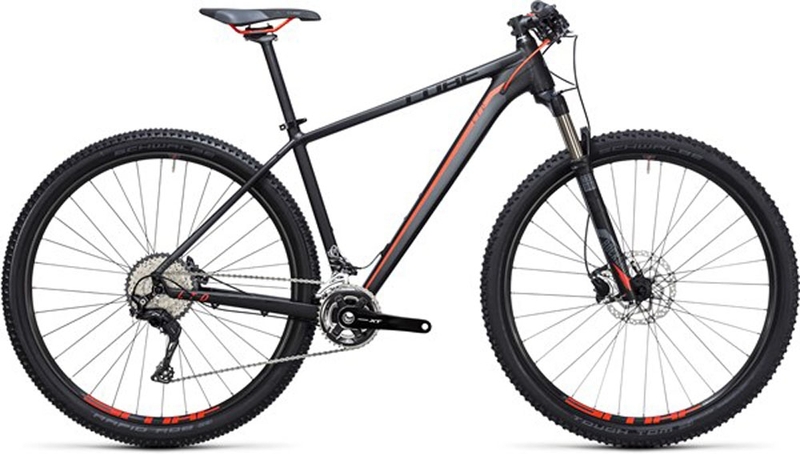 6 quick Cross Country Mountain bikes that should see you well on the way to racing glory. And if you’ve spotted any other contenders that we haven’t mentioned in the brief guide then please share and we’ll take a look. One thing it’s wise to remember when you’re choosing your next (or first) race rig, is to consider the bikes ‘fit’ on your list of requirements. It’s all too easy to browse online and pick a bike that ‘looks’ nice or has the fanciest list of kit, but if it doesn’t suit the way you ride or makes you feel uncomfortable, over stretched or cramped then you’ll have paid good money for what will essential become, at best, a rather expensive coat hook. Either get down to your local bike shop or maybe even the shop that supports your favourite rider, team or race series and try before you buy - and please, if you like the bike you try then do the right thing and buy from them… they may even throw in a free service. Next time I’ll get on to the topic of training, and I’ll update you on how my progress (or not as the case may be) is going.